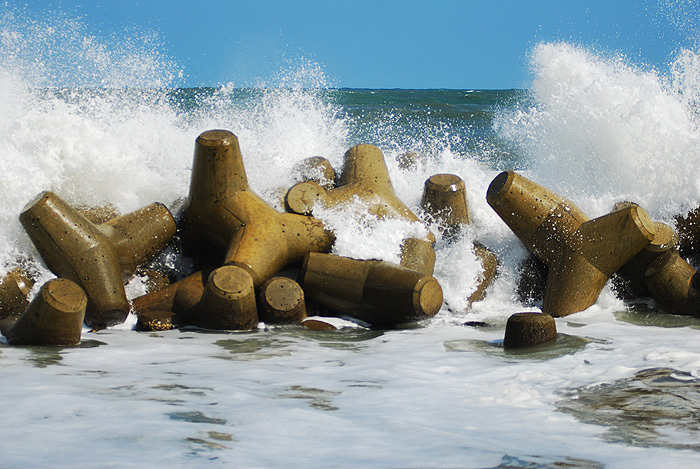 Sometime back in the 1960s, the idea of 'stabilizing' coastal areas; protecting them from erosion, became en vogue. 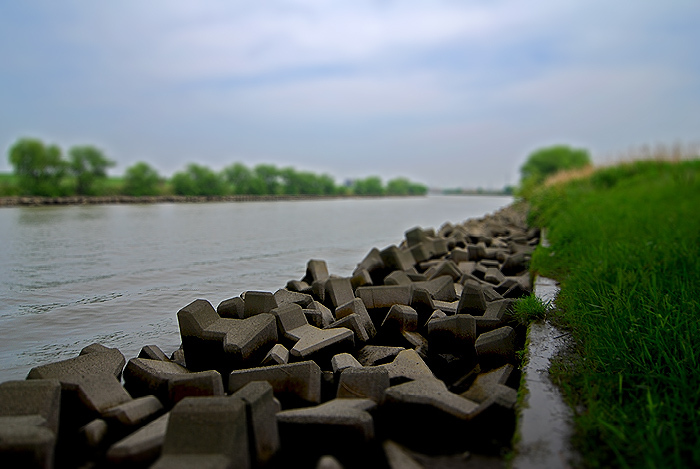 However by the 80s, most countries figured out that concrete shores, walls and 'tetrapods' as those huge 4 pronged jacks are called, actually speed up erosion, not prevent it, and the practice was discontinued, even reversed. 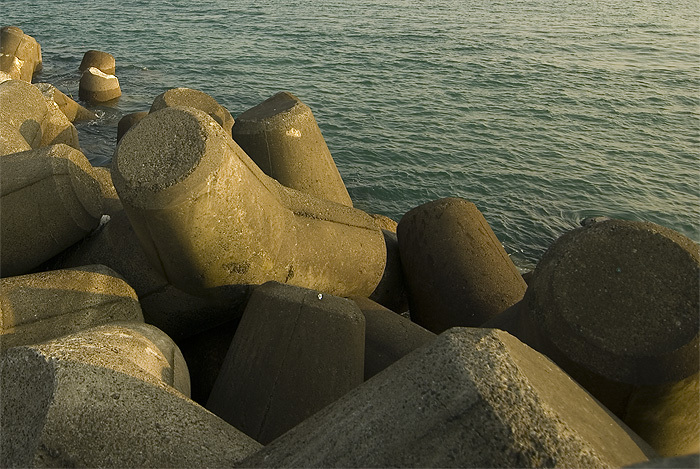 Except for Japan that is, whose love affair with concrete knows no bounds. 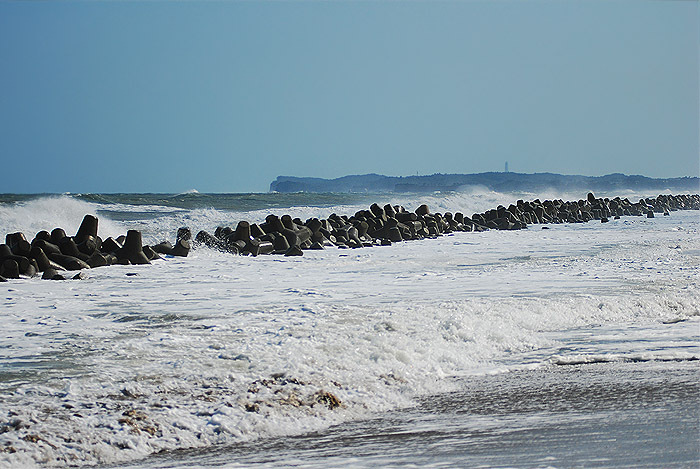 According to some statistics, Japan's concrete-ification of its coast, lakes and rivers has now reached an unfathomable 60% or more. It seems impossible really, but having traveled around more of Japan that even most Japanese people have, I can start to believe it. 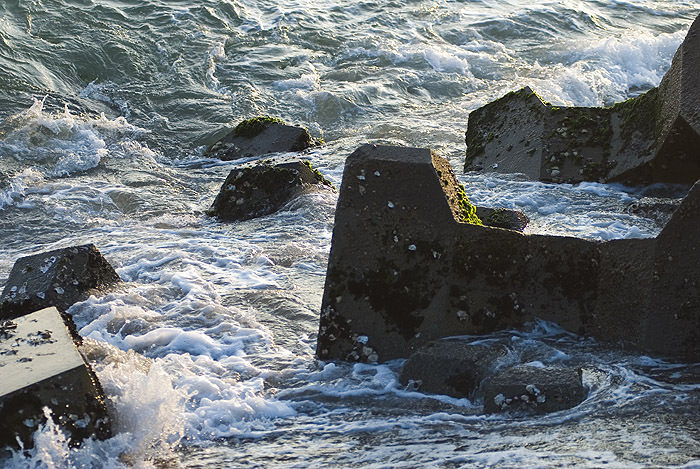 Above and below photos, tetrapods lining a coastal section of Fukushima. Surfing here may be a bad idea. There is no doubt that concrete is ugly and that the destruction of Japan's natural coastlines is tragic, but there is something grimly fascinating about the endless amounts of concrete poured and sprinkled over Japan. With the largest construction market in the world, it goes without saying that cement making companies in Japan do a booming business. And until the environment can compete with the construction industry on an equal footing, or until fish are allowed to vote, this trend looks set to continue. 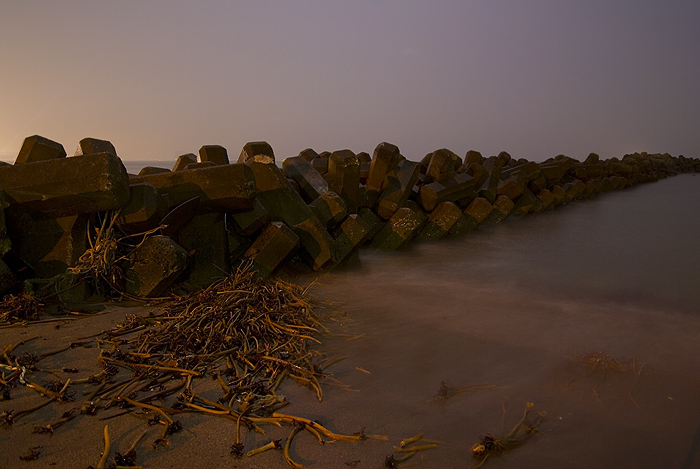 Tetrapods near Enoshima, Kanagawa, taken at night with a 30 second exposure.